There have been no shortage of market pundits lately suggesting investors sell everything because the markets are going to Hades. There was one UK Bank that issued such a reckless recommendation as to sell everything at the trough of the January decline. While I’ve suggested the decay of market breadth (the number of stocks going up versus down) in 2015 was a sign a bear would play out this year, it is typically not until the declines are well under way that the BEAR word is thrown around. Looking at the history of market cycles can enlighten novice investors to seasoned professionals. I said in my 2016 forecast that I thought the worst case for the S&P 500 would be between 15-20% decline. The reason I thought that the correction would be less than 20% is routed in market history and not speculative conjecture. There have been 22 market declines of 19% or more in the US large cap (S&P 500) indexes since 1928. We use this index because it represents about one-third of the world stock markets and it is the most important global benchmark index. It also has the longest most consistent data available. The Dow is not a good index because of its silly price weighted methodology. The average peak to trough length of the declines are about 11 months. The shortest are just a few months and the longest were typically in the 1930s and lasted more than 2 years, but the 2000-2002 drop was complex due to the tech bubble breaking and 9-11. The massive papa-bears typically happen for financial systemic risks (think Lehman failure) or from extreme valuation (think 2000 or 1987 when PE ratios were extremely high). If we measure all the papa-bears they average about 34% (close to close) and the bigger ones have one of these two characteristics. Those currently forecasting a bigger than 34% correction are not based in probability theory. The corrections that are more cyclical related to Fed tightening cycles tend to be in the -19% to -25% range. Because the Fed is still ultra-easy monetary policy (and likely to stay that way for decades) and because we do not have extreme valuation, the probability of a bigger correction type is extremely low. That does not mean zero, but it is extremely unlikely. The correction from the 2015 high to the recent low is about 15%. When we measure all the corrections from 52-week highs or previous peaks when the correction lasts more than 1-year the average correction (greater than -5%) is about -13%. So far, what we are seeing is completely normal and fits within the expected history of market behaviour. We have said before than this cycle is different because of massive headwinds of DEBT and DEMOGRAPHICS, neither of which can be fixed with anything else but time. But consider this. The point of maximum portfolio risk is when the market is at a high point and not a low point. Selling when a market is down -13% or more is actually the worst thing you can do when you are an investor because on average you are selling at below the average correction. Our worst-case scenario is for the S&P 500 to test the 2007 breakout high point, which is also a key retracement level from the 2009-2015 bull market around 1570, which would be about 25% from the 2015 high. But it likely does not get that low. We also believe that the correction process will take longer than average to play out because it’s more about slowing economies than financial shocks although the credit risk metrics are concerning and that is still a wildcard. So for now raise some cash into this rally if you have not already. 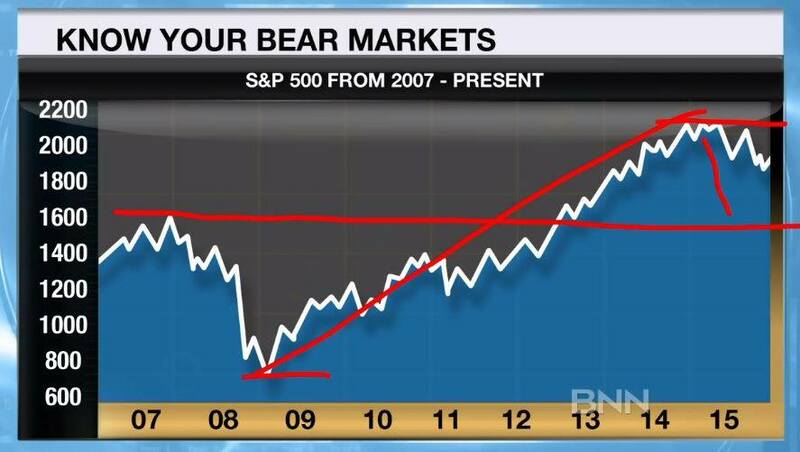 Counter trend rallies are a whole other topic that we will cover in depth on our newest across Canada speaking tour. Covered call ETFs are helpful for the yield seekers out there looking to maintain cash flow with less downside volatility. 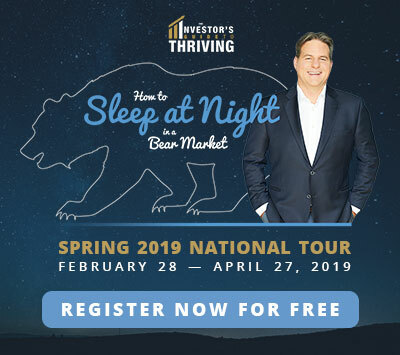 There are ways to make a difference in portfolio returns with simple understanding like this and others that we will share with BNN viewers on my newest across Canada speaking tour. The current tour will feature the BERMAN’S CALL format where we will look at what is currently moving markets off the top, have a live segment of audience Q&A and e-mails, and as always, will finish off with some great education like this to help empower investors to make better investment decisions.